Fitted Bathroom Furniture and Free Standing Vanity Units. Bathroom furniture allows your bathroom to be clutter-free and helps to utilise your space as effective bathroom storage. "The days of having to make a bathroom cupboard to store away your knick-knacks has long gone, say goodbye to cleaning pedestals." 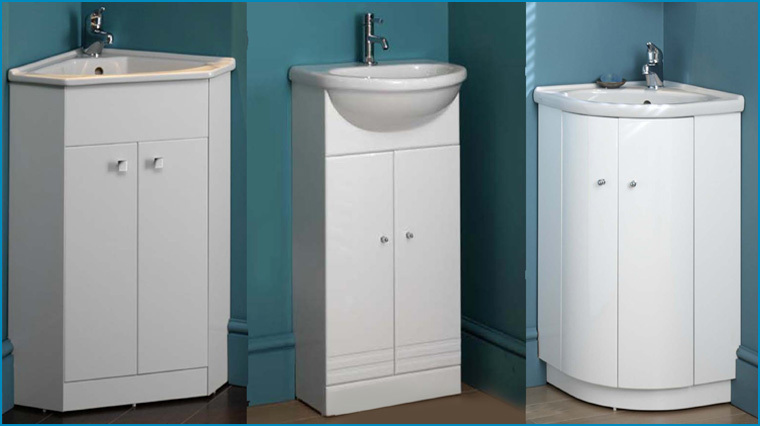 Free-standing bathroom furniture, also described as a vanity unit(s) can be a useful addition, not only to the bathroom, but also in the bedroom, or utility room, giving additional washing facilities and storage space. Available in a range of solid timber, laminated timber and foil wrap finishes combined with a vast range of sizes whether you want a 'washstand' or a 'washstation' in oak or bright red be prepared to be amazed at the choice available! Ideally suited not only to to the downstairs cloakroom, but a also the on-suite or family bathroom, the vanity unit with a fully inset or 'Slab style' vanity basin is a practical all-rounder. The vanity unit is ideal for the storage of those extra toilet rolls, as well as your bathroom cleaning products. From the traditional style wood finished cabinet to the minimalistic clean lines of the 'concept' unit which incorporate bow shaped cabinets with doors and high gloss. Whatever style takes your fancy, your choice can be catered for. From a compact single unit to a large washstand incorporating a granite worktop, drawers and down lit vanity mirror, whatever your requirements, give as a call and let us help you find the ideal bathroom storage solution. 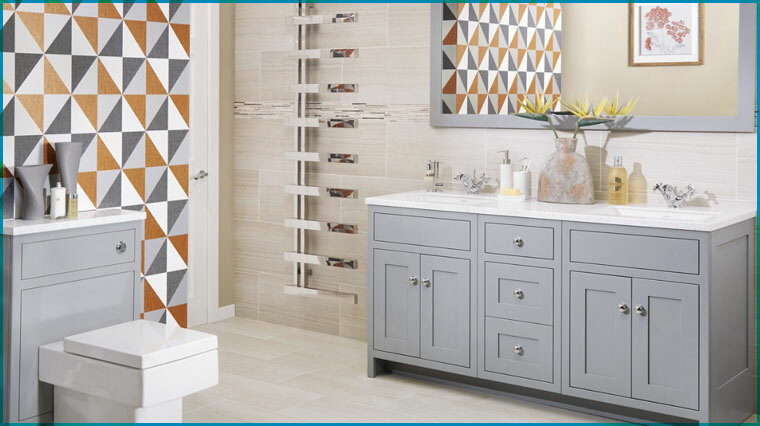 "Fitted bathroom furniture is the fastest growing area in the bathroom market. An ideal choice for storage space and clean lines." 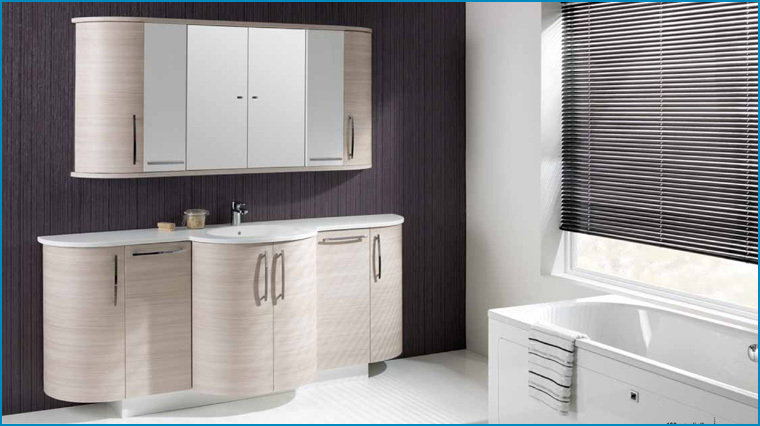 Vanity Hall fitted bathroom furniture is a most versatile range that can be adapted for most situations. Solid wood, vinyl wrap and solid wood veneered doors, all make this into a very adaptable range. Traditional and modern style finishes, as well as an option for bespoke sizes, makes this a very popular choice for many. The latest range added to our displays. 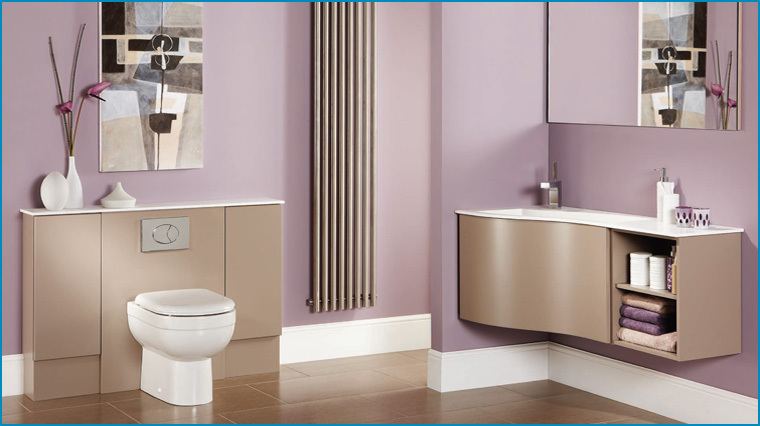 The Montrose range of fitted bathroom furniture offers the customer a very high quality product. 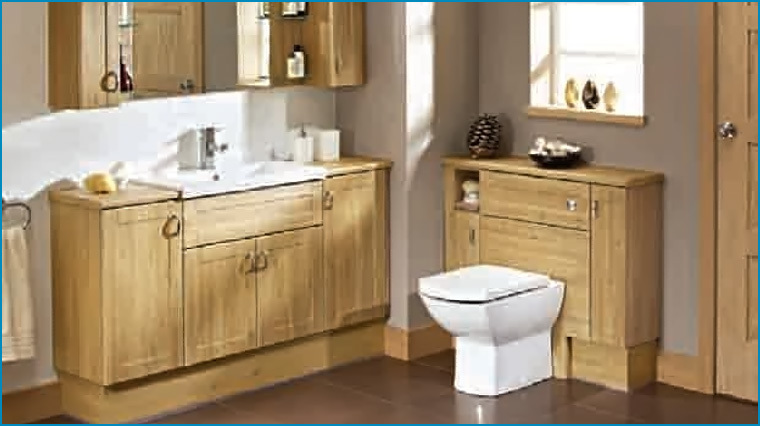 Bow shaped, high gloss, and shaker style doors, all add up to making Montrose a quality bathroom furniture range which is fast becoming real head turner. A versatile range that offers some unusual finishes with reduced depth range as standard in the range makes this a helpful addition to our portfolio. 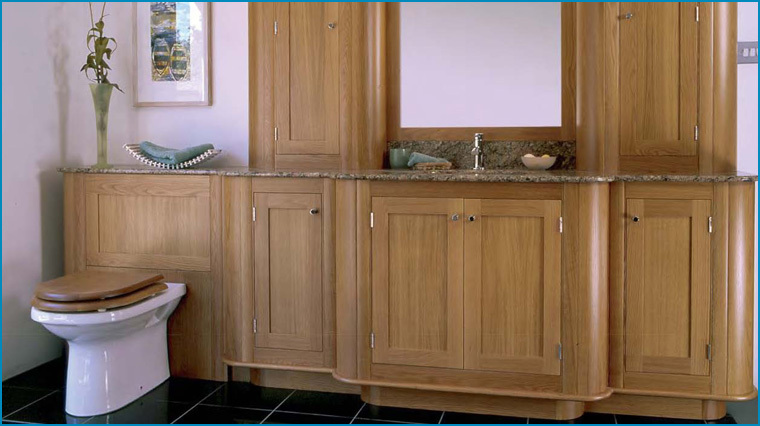 Goodwood fitted bathroom furniture is a name synonymous with quality. Goodwood offer a unique bespoke service for the discerning customer. Worktop selection also includes a marble and granite option, and their own unique range of high quality fitted bathroom furniture.